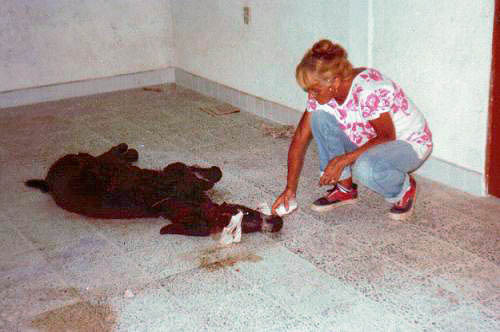 Sociedad Protectora de Animales de Zihuatanejo - Helene Krebs Posse A.C. 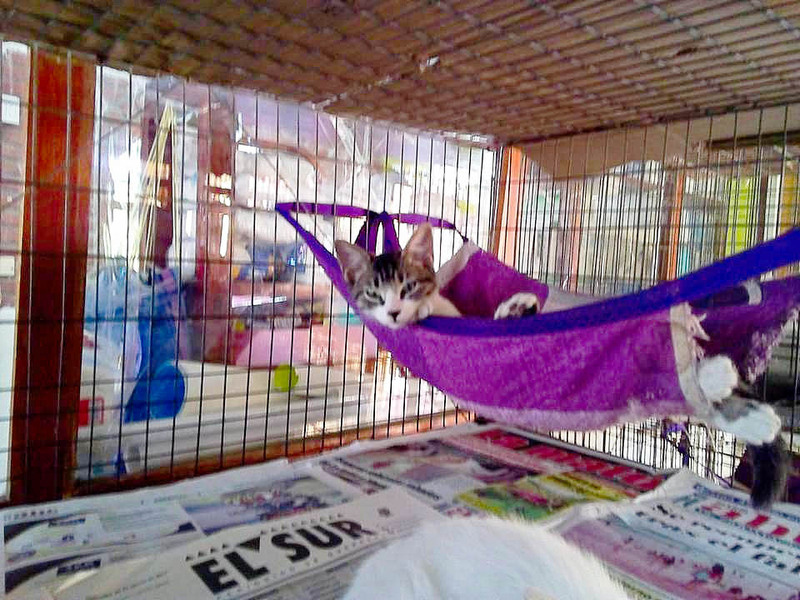 The Animal Humane Society of Zihuatanejo (SPAZ-HKP) is a non-profit non-governmental organization financed by the generous donations of people like YOU and from the sales of t-shirts at Casa Marina that allow us to continue our work year after year for our community's animals. 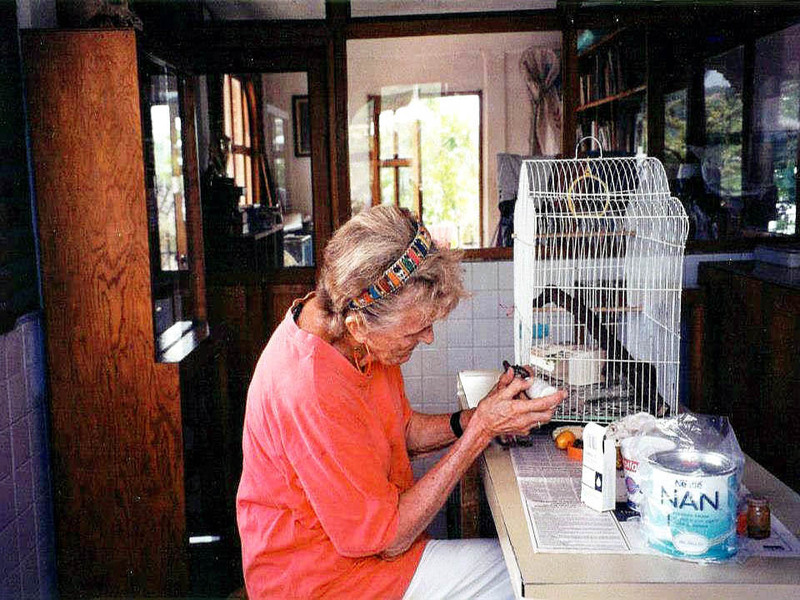 The "Sociedad Protectora de Animales de Zihuatanejo" (Animal Humane Society of Zihuatanejo) was founded in 1982 by the late Mrs. Helene Krebs Posse, a long-time Zihuatanejo resident who also raised her family here. She began without adequate installations and funded it entirely out of her own pocket. Here she is to the right attending to an injured baby burro found along the highway. 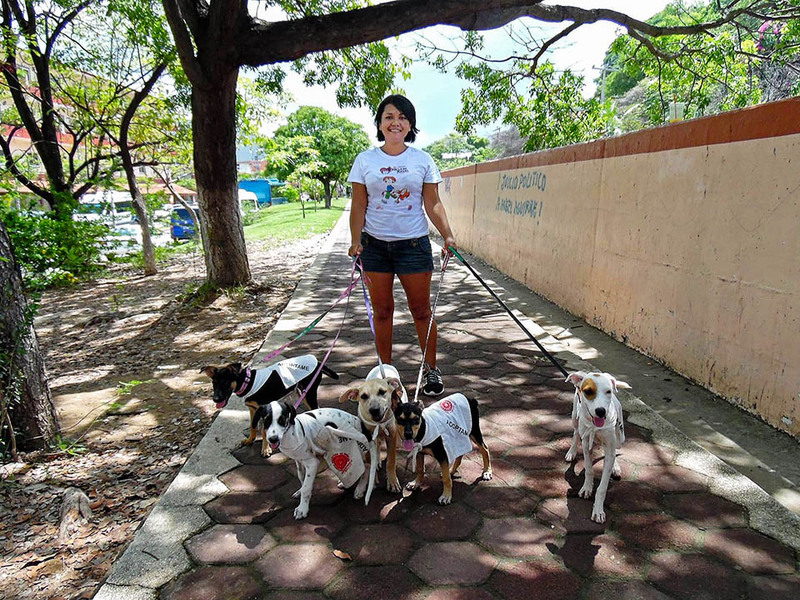 The idea came about due to the obvious need to care for, attend to, rehabilitate and provide refuge for hundreds of wild and domestic animals which had been abandoned, abused, neglected and injured in the streets, beaches and surrounding countryside. 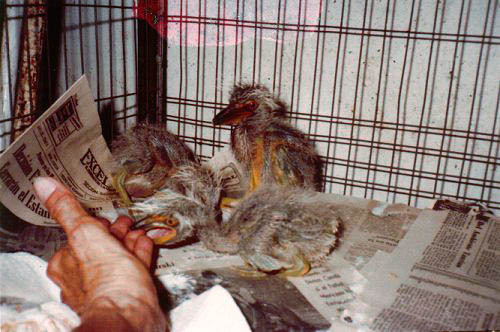 They had been previously left to their fate to die in slow, painful agony, subject to thirst, hunger, injuries and illness. 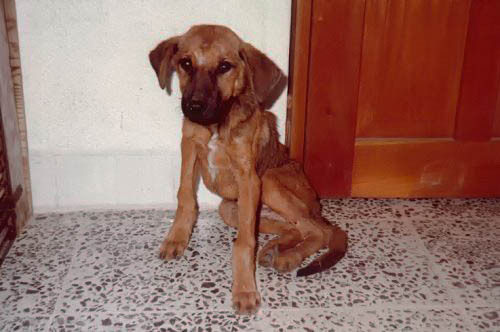 To the left is one of our typical heartbreaking abandoned and undernourished puppies. We get a lot of these. 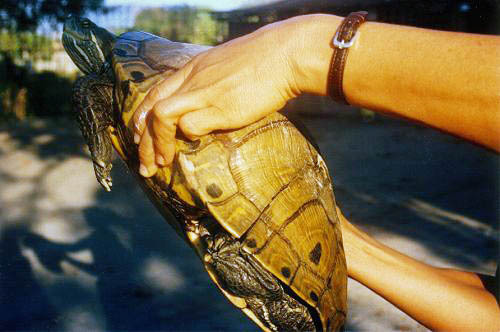 To the right is an estuarine turtle typically found in mangrove areas. This one has a cracked shell. The fundamental principal which inspired the foundation of the SPAZ-HKP and which guides each one of its projects, programs and activities is the avoidance of the unnecessary suffering of animals. 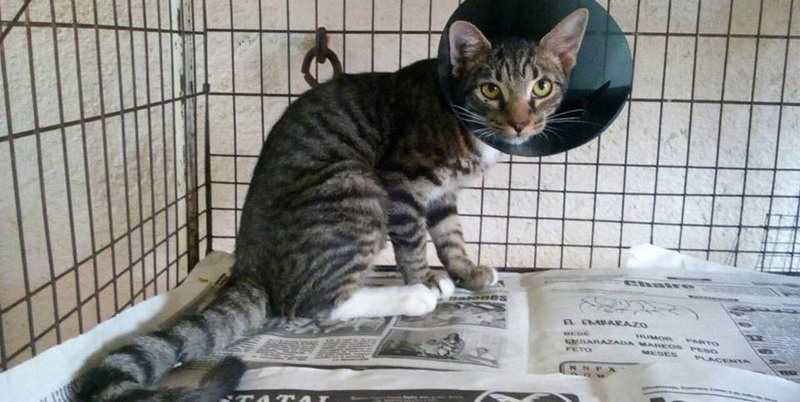 Providing refuge and rehabilitation to injured, sick and extremely needy animals of all species in our small animal shelter which includes promoting the adoption of dogs and cats that we always deliver parasite free, vaccinated and sterilized. 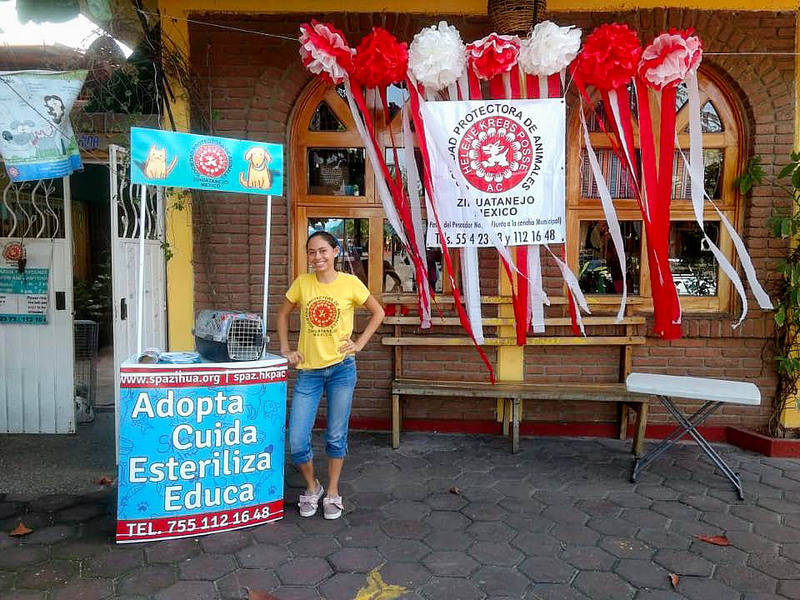 Fomenting pet sterilization through our permanent low-cost sterilization campaign as well as two or three free sterilization campaigns each year. 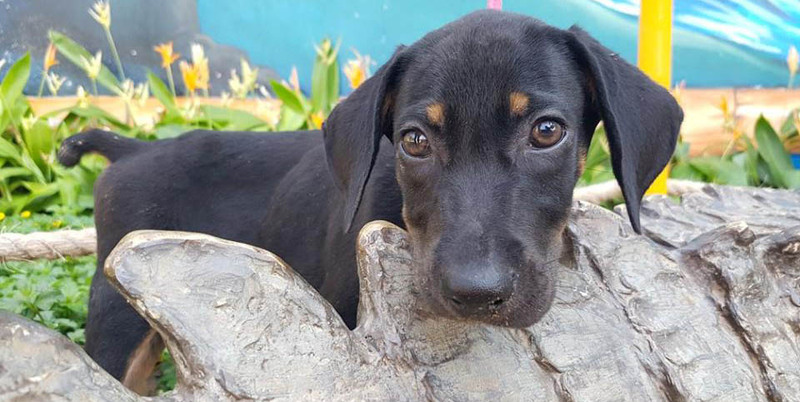 In order to make a real impact on the lives of thousands of pets we must fight overpopulation of dogs and cats since there simply aren't enough homes for them. 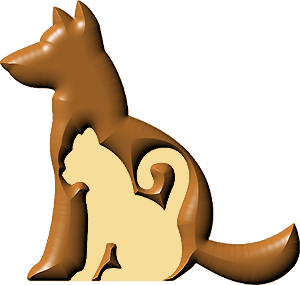 At SPAZ-HKP we want all pets to be part of a happy family. 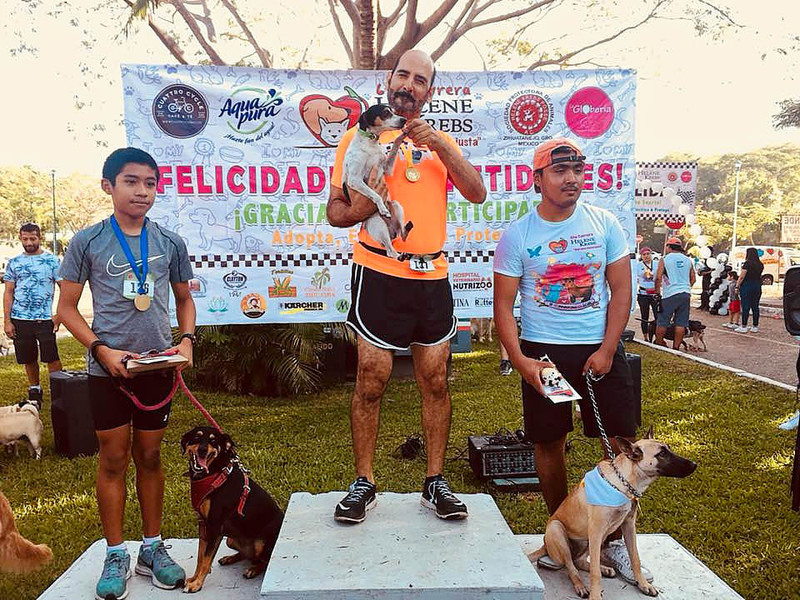 Fostering an educational program by giving talks in our community's schools in order to raise awareness among the youngest among us and to teach them to care for and respect animals. 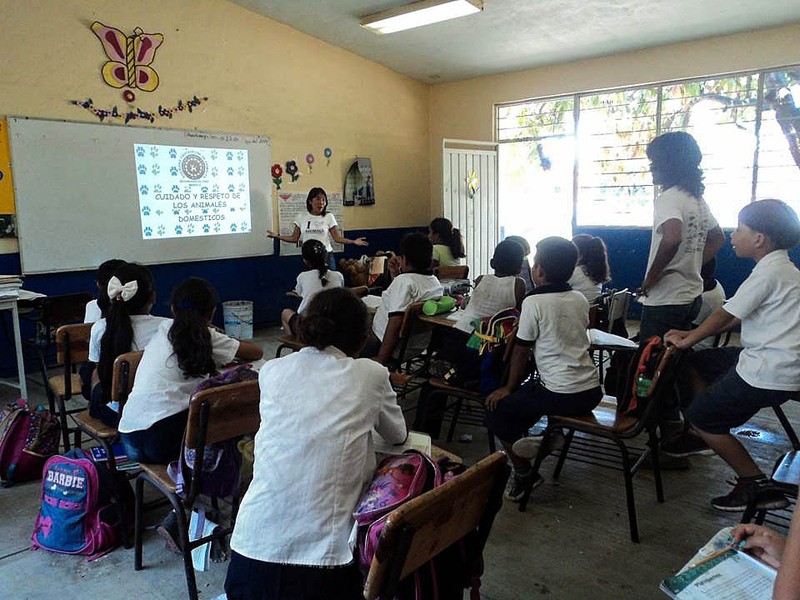 Since 2015 when SPAZ-HKP began its educational program we have managed to reach about 90% of the community's primary schools, and we continue to revisit them to keep educating new generations. 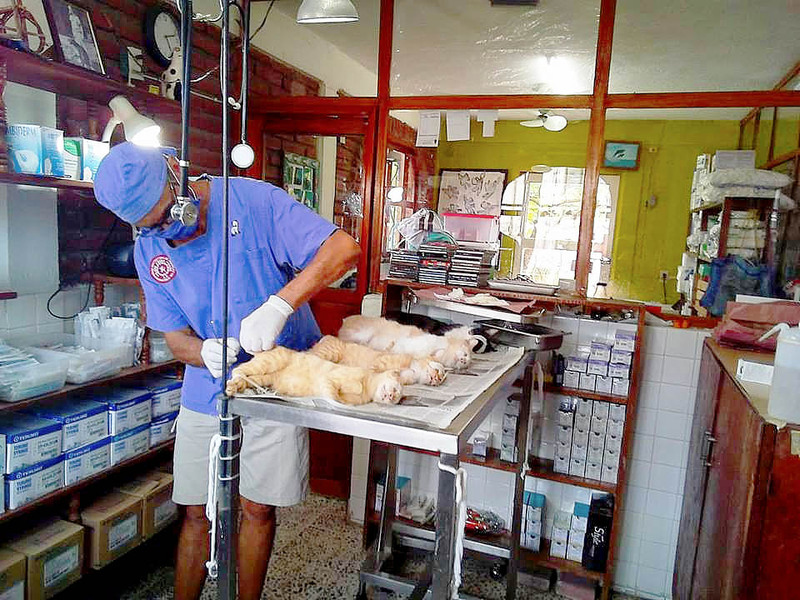 In 2016 we sterilized 1,486 pets in our low-cost permanent campaign as well as through 5 intensive free campaigns. We also found homes for 201 animals, and we gave 67 talks in local primary schools. 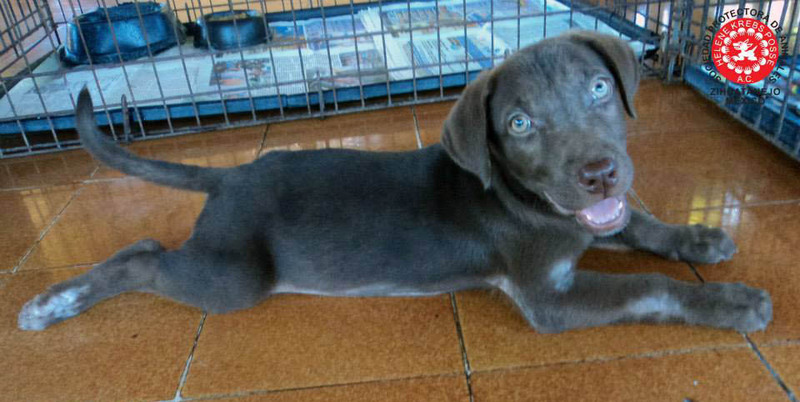 To the left is another one of our typical patients. 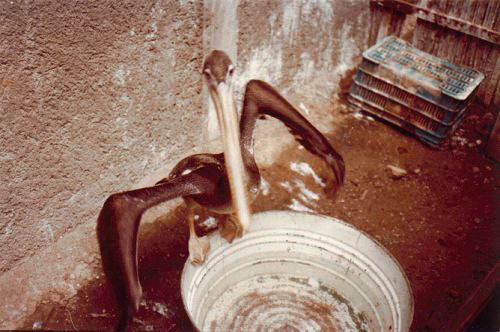 Many pelicans, boobies and frigates are injured in run-ins with local fishermen as they try to steal bait from trolled lines. To the right are orphaned baby herons from one of our local mangrove estuaries. The Society is overseen by a Board of Directors comprised of Enrique Rodriguez Krebs (President), Natalia Rodriguez Krebs (Treasurer), Cristina Rodriguez Krebs (Secretary). It includes about 70 members, among them active members and collaborators. To the left is one of our more celebrated customers, Pánfila the sea lion (read her story). She is a rare species whose natural habitat is Isla de Guadalupe, an island about 250 kilometers west of the Baja Peninsula in the Pacific Ocean. 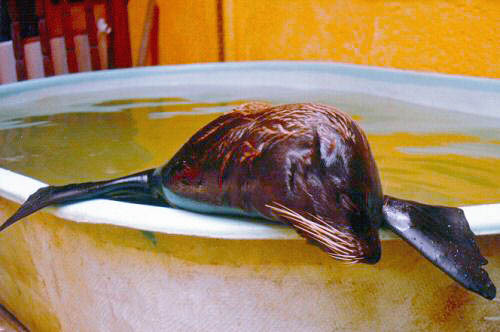 Found starving and lost by fishermen in Papanoa, she was eventually released to another group of sea lions near La Paz, Baja California del Sur. 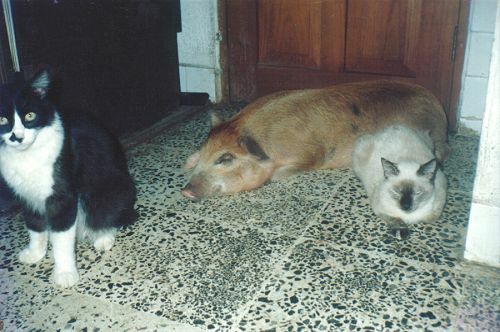 To the right is an adopted pig along with a couple of abandoned cats. 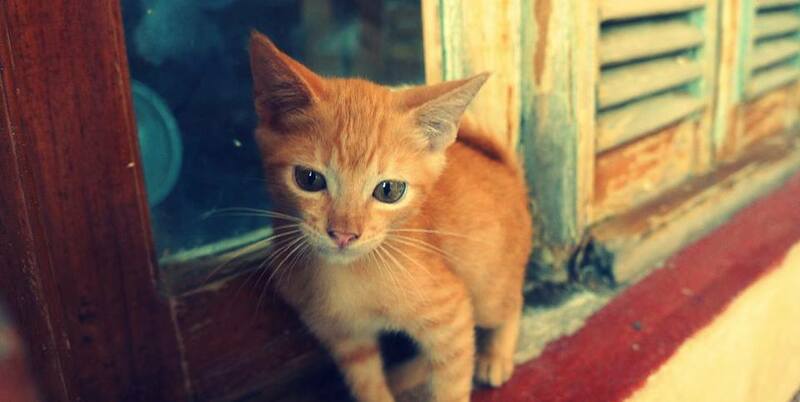 This cute little guy thought he was a dog! 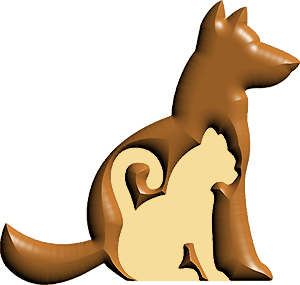 We invite you to come visit us and get to know a little more of what we do as well as to promote the adoption and sterilization of pets among your family and friends. And why not? We also invite you to speak at your school or in your neigborhood. 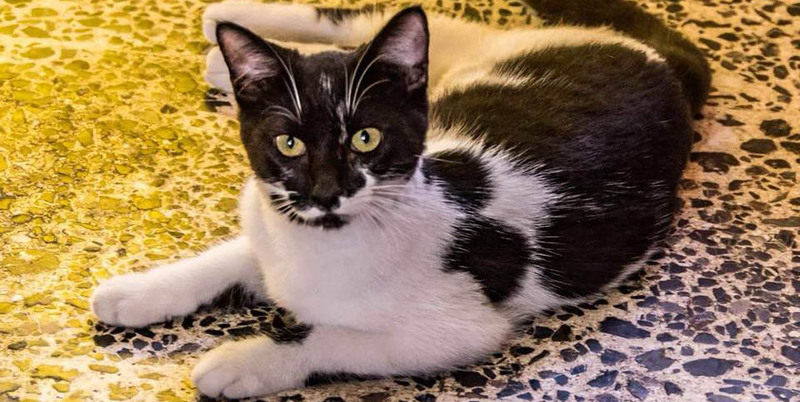 The SPAZ-HKP offices are currently located in downtown Zihuatanejo for the reception and adoption of animals as well as for their treatment and surgery. Find us next to the Plaza Principal on the waterfront. Our hours are from 10:00 AM to 9:00 PM, Monday to Saturday. The organization maintains itself with the sale of T-shirts bearing the logo of the Society and with donations from persons within the country and abroad. We also accept donations via PayPal. 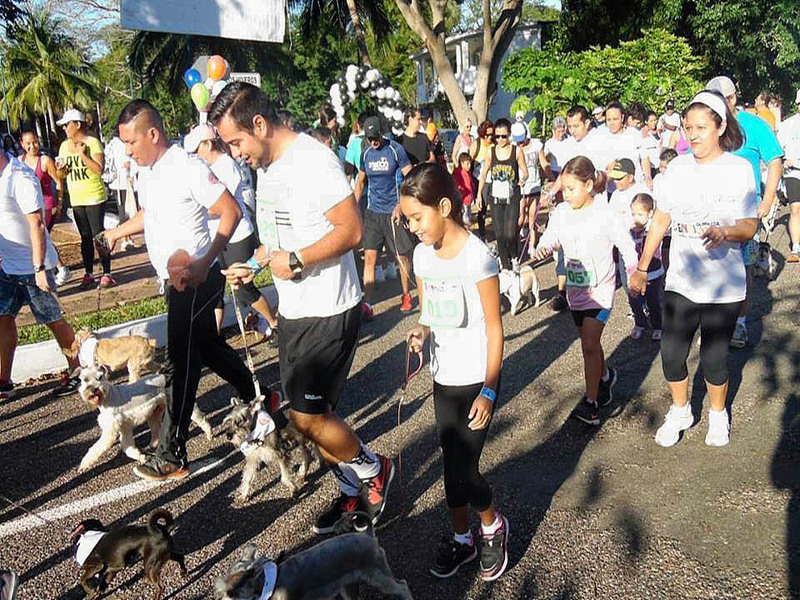 7 April 2019 - 7th Annual Run "Helene Krebs" - "For a just cause." Please see the following links for information of interest to all those who love dolphins. © 2000 - SPAZ-HKP A.C.